These Remote Audio URSA Circles Very Stickies are adhesive circles measuring 24mm in diameter. They are deigned to affix lav mounts and other related accessories to various surfaces. 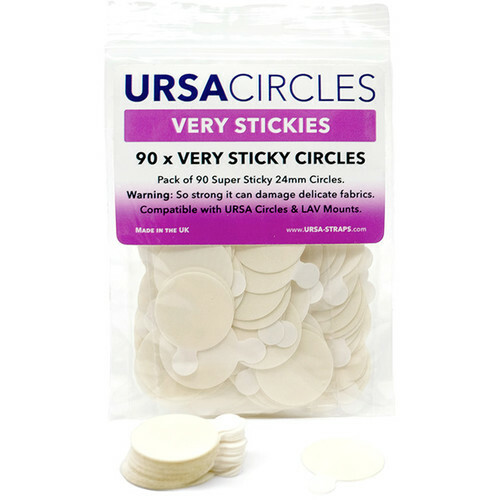 The pack comes with 90 circles, all of them on peel-off tabs. Box Dimensions (LxWxH) 4.25 x 3.4 x 0.65"